We never understands ourself and when someone interprets it, we feel happy mostly when its positive. So, here is the interpretation of my name in Astrology and Well I can say its 100% correct. 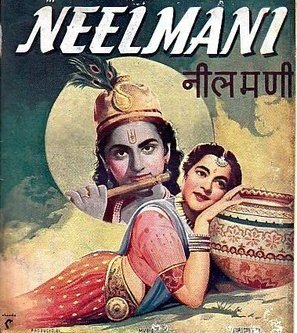 Name Neel Mani means Sapphire comes under the number 29. According to astrology, I would like to gain anything through the help their experience. So it will be better if anyone like to gather experience, they must meet such a person who have the power number 29. You will be supported by your parents too. You are a person of home seek. But you love to roam around the nature. You like the sea and hilly areas. You like to spend time with lots of amusement and enjoyment. You like hang out with your friends. You like to see movies and love play games. You have the sportive mentality. Your kind of mentality is liked by many of your friends. You feel spiritual during the advanced years. You feel that you are valuable to someone. Sometimes you feel difficulties at your life. But you will able to solve this very easily. You like to lead a restricted life which is full of care and love. You like to depend on someone who is really loving and caring to you. You are really passionate to your love mate. You are much serious to your works and duties. You should not be over confident to your skill. For some people this number is really lucky and with the help if this number they may achieve many things which will help them to produce a fruitful life. This number is full of grace. You like to be cautious at your every action and deeds. You like to be in an open relationship. So there is no strictness at your relationship. These people like to be normal and neutral for every aspect. You like to make yourself proper displayed towards others. There is a possibility that you may be the reason of someone’s life support. You will be loved by others very much. You also like make yourself properly educated. You really love the education. To you present incident is the most important thing. So like to live on this matter. To you reality is the only support. The letter is the symbol energy. So the persons with the letter have lots of energy for their every action. There is a possibility that due to the letter impact you may over react for few works. There is a possibility that you will feel highly spiritual at your advanced state of life. You also like the car. So to some extent it can be said that you love to live a luxurious life. You also have the creative power to create something new and fresh. There is a possibility that you will came in contact of someone who will give you a proper chance to rise at your life. It is also being seen that sometimes your life may be in problems. But due to your intelligence you will able to overcome the problems. You are a person of grace. With the help of this you will able to make a good life. You also have the skill to make a film. In Astrology, the persons, who have the expression number 1, will possess the courageous mentality. They are very ambitious too at the terms of their career. They are also very original. You love to live within yourself and try to maintain the own terms and condition at the path of your life. You like to be independent also. You are really a born leader. All the aspects and qualities of a leader are within you. So you may select the leadership as your own career. Sometimes it can also be seen that you like to be self centred. You are also a risk taker. This may sometimes fruitful to you and it may cause the harm to you. Due to the number impact you are very energetic and creative in the fields of your career. You have the ability to influence others with your own opinion. You also like to take sudden decision. You have the tendency to save money for future. You love to see dreams. You also have a lot of friends and fellows. You will able to make yourself flourishing if you select the business as your career. It is also true that you have to take the whole responsibility of your family. You are also loved by your relatives too. You are very confident about your deeds and actions. You are focused at your aim and ambition. Though you love to see dreams but it is fact that you are really realistic and try to do the things according to the real terms.